Forget office status boards, SIO is the future of office status updates. 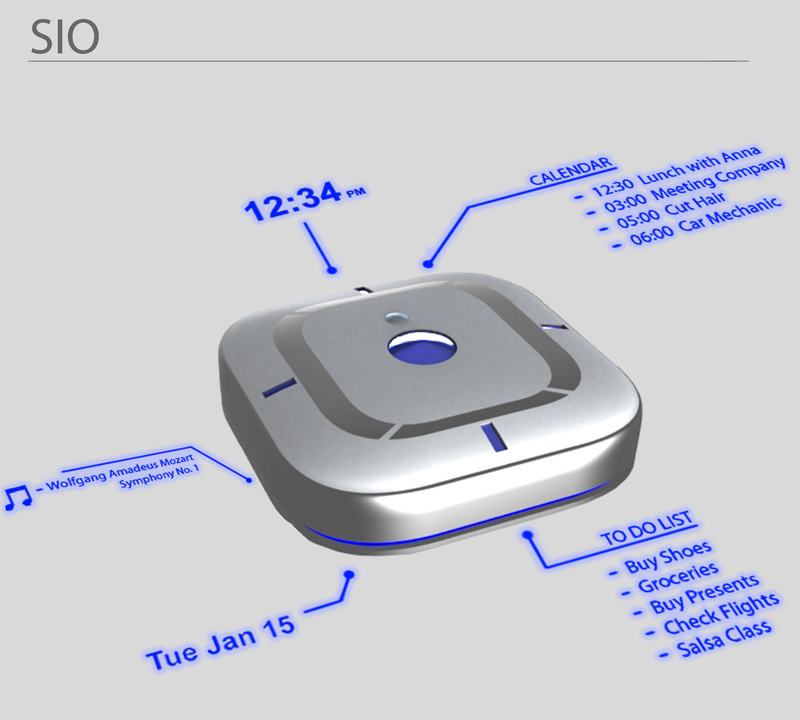 SIO, a new indiegogo project, plans to replace your clock with an interactive projector based product that can give you status updates directly from an android or IOS device. This could be used personally or for everyone in the office to see. 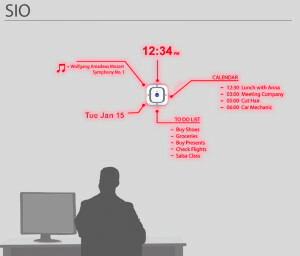 SIO mounts to your wall and uses LED projectors integrated into the 4 sides of it to produce images containing information from your smartphone. These projectors are pretty low grade and can only project text, but can do so in a couple different colors Red, Green, Blue, and Purple. 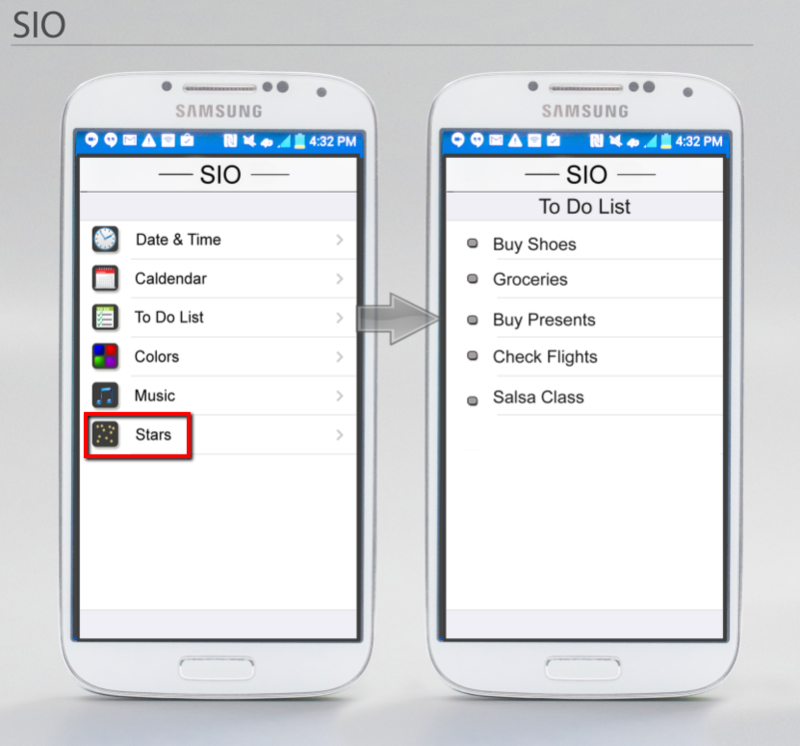 SIO has an app app that gathers information from your phone or computers calendar, e-mail, texting, clock, and many other apps. It then sends this data to the SIO wirelessly and then the SIO projects it onto the wall. 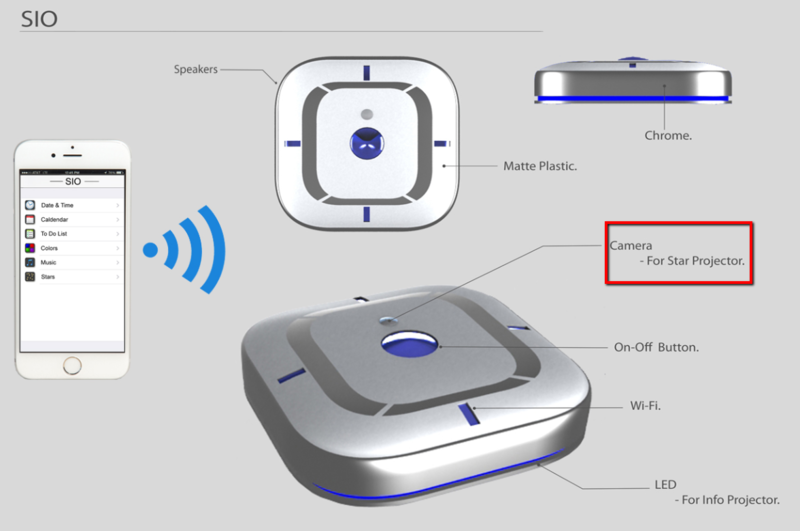 The SIO will also function as a bluetooth speaker, although he unit is pretty small, we’re curious to see what kind of sound it can put out, we’re really hoping this isn’t a 1 watt speaker as many picos have. The SIO also has a pretty cool screensaver function where it projects star images into the ceiling to create a kind of night time sky effect in the office. We have not seen this in action yet but we’re curious to see if it’s going to be cheesy or actually cool like the “Star” roof you can get in a Bentley. Anyways, we’re pretty excited about this product. Word is that we’ll see some prototypes coming around in the next 3 months. Planned pricing for the unit is somewhere in the area of $150-$200 CAD. 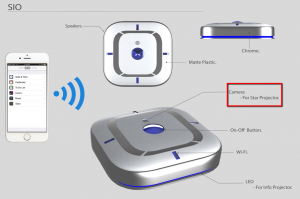 We still definitely have some questions that need to be answered about the SIO but we’re sure more information will become available as the prototypes become available. ← Immersis, VR without a helmet that everyone can experience.